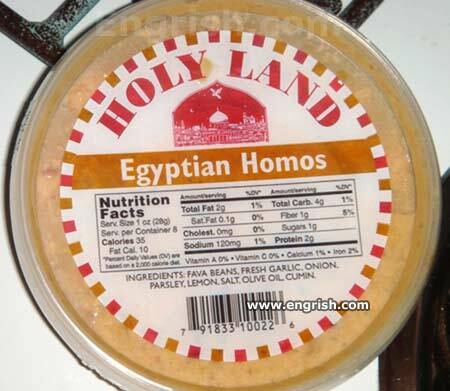 Container of hummus found in the US. On the plus side, it’s 99% fat free! Coming Soon! San Francisco Homos! Fava Beans – Flavah beads — The kind you pull out of your lover like you’re trying to start a lawnmower. when you open the lid a little egyptian guy pops out and goes “honey that shirt is to die—and you hair is so adorable..
Chicken of the sea, hummus/homos of the homos, we all need something to be proud of. Egypt: the “alternative” holy land. This is really what God did to the people of Sodom and Gomorrah. The Bible embellished it a lot.